The Global Volcanism Program has no activity reports for Mascota Volcanic Field. The Global Volcanism Program has no Weekly Reports available for Mascota Volcanic Field. The Global Volcanism Program has no Bulletin Reports available for Mascota Volcanic Field. 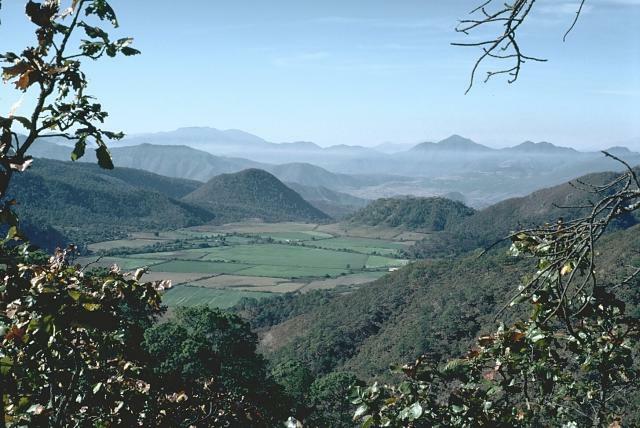 A group of calc-alkaline andesitic and lamprophyre cinder cones and lava domes, along with associated lava flows, is located near the town of Mascota in the Jalisco tectonic block about 50 km E of Puerto Vallarta. 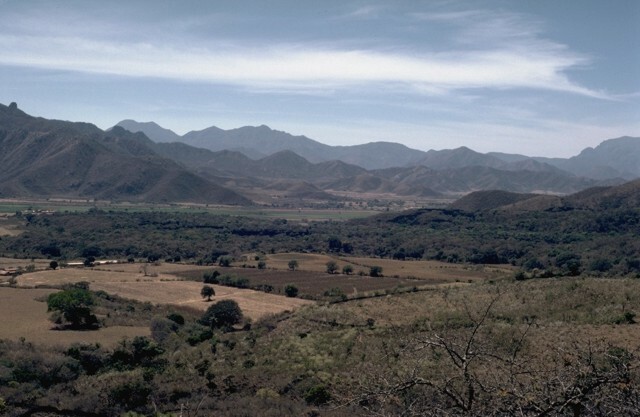 Mascota is the youngest of a group of potassic volcanic fields in extensional grabens of the Jalisco block south of the Río Ameca. Most volcanism in this volcanic field is confined to two NNW-SSE-trending grabens cutting Cretaceous ash-flow tuffs. The youngest eruption, at Volcán Malpaís, north of Mascota, produced a fresh-looking basaltic-andesite lava flow. The lack of soil development and sparse vegetation suggest that it may be only a few thousand years old (Carmichael et al., 1996). The volcanic field is noted for its unusual diversity of volcanic rocks, and contains Earth's youngest known minettes (lamprophyres), with radiometric ages down to 0.07 +/- 0.08 million years. Carmichael I S E, Lange R A, Luhr J F, 1996. Quaternary minettes and associated volcanic rocks of Mascota, western Mexico: a consequence of plate extension above a subduction modified mantle wedge. Contr Mineral Petr, 124: 302-333. Lange R A, Carmichael I S E, 1990. Hydrous basaltic andesites associated with minette and related lavas in western Mexico. J Petr, 31: 1225-1259. Ownby S E, Lange R A, Hall C M, 2008. The eruptive history of the Mascota volcanic field, western Mexico: age and volume constraints on the origin of andesite among a diverse suite of lamprophyric and calc-alkaline lavas. J. Volcanol. Geotherm. Res., 177: 1077-1091. Wallace P J, Carmichael I S E, Righter K, Becker T A, 1992. 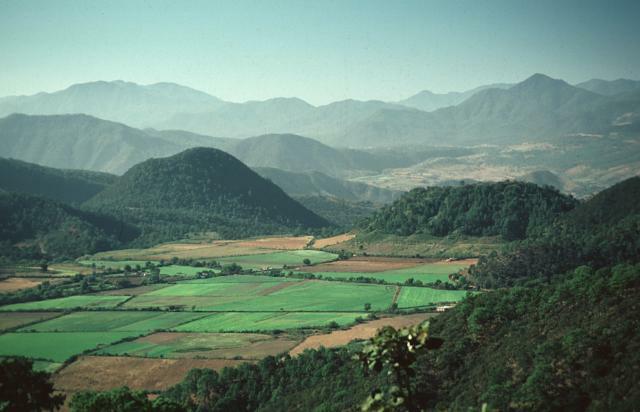 Volcanism and tectonism in western Mexico: a contrast of style and substance. Geology, 20: 625-628. The Global Volcanism Program is not aware of any Holocene eruptions from Mascota Volcanic Field. If this volcano has had large eruptions (VEI >= 4) prior to 10,000 years ago, information might be found on the Mascota Volcanic Field page in the LaMEVE (Large Magnitude Explosive Volcanic Eruptions) database, a part of the Volcano Global Risk Identification and Analysis Project (VOGRIPA). There is no Deformation History data available for Mascota Volcanic Field. There is no Emissions History data available for Mascota Volcanic Field. The forested lava flow extending across the valley floor in the center of the photo is the youngest flow of the Mascota volcanic field and may be only a few thousand years old. The basaltic-andesite flow was erupted from Volcán Malpais, along the eastern wall of the Mascota graben north of the town of Mascota. The flow is seen here looking west across the graben floor from Volcán Molcajete. Cretaceous rhyolitic ashflow tuffs form the graben walls. Photo by Jim Luhr, 1985 (Smithsonian Institution). 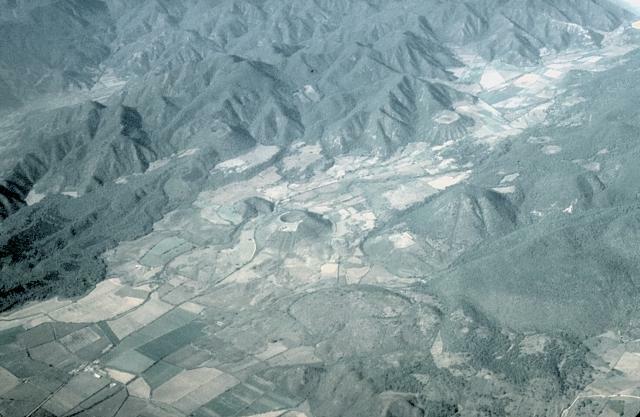 Part of the Mascota volcanic field in the Jalisco tectonic block east of Puerto Vallarta appears in this aerial view from the south. The prominent cinder cone in the center is Volcán Molcajete, which along with the smaller breached cone of Volcán Novillero to its left, is of minette composition and Pleistocene age. The youthful, forested lava flow at the left side of the valley originated from Volcán Malpais. It is located at the valley margin above and left of Volcán Novillero and may be only a few hundred to a few thousand years old. Photo by Steven Nelson, 1996 (Tulane University). The summit ridge of flat-topped Volcán Molcajete (left) is at the level of the horizon in this view from the SW. Molcajete, referring to stone bowls used for grinding grains, is a common name applied to cinder cones with youthful craters. Volcán El Tecomate is the steep-sided cinder cone at the right. 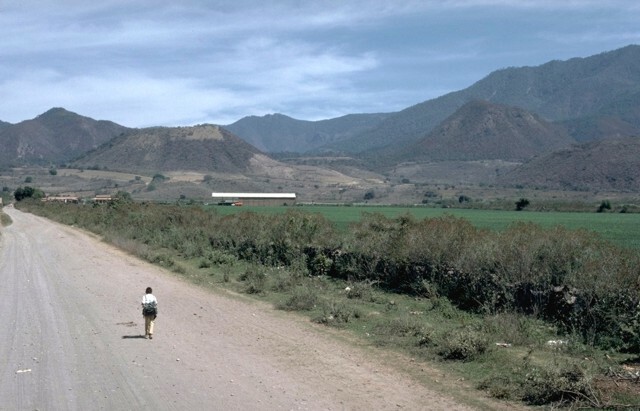 These two cones are located NE of the town of Mascota and are part of a Pleistocene-to-Holocene potassic volcanic field in the Jalisco block, which is being underthrust by the eastward-subducting Rivera tectonic plate. 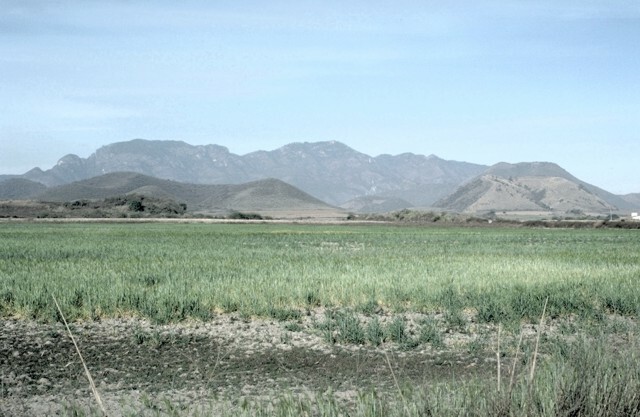 Volcán el Puerto (left) and steep-sided Volcán Embarcadero (right) are seen from the east across fields of the Mascota graben. Both cones, of hornblende lamprophyre composition, are breached to the east. They lie on the NW side of the Mascota volcanic field and were erupted near the western base of the graben walls, which in this view consist of metamorphic rocks and elsewhere of Cretaceous ash-flow tuffs. The Mascota graben here is about 5 km wide. A group of calc-alkaline andesitic and minette cinder cones and lava flows are located near the town of Mascota, east of Puerto Vallarta. Steep-sided Tecomate lava cone (left center) is andesitic, and Molcajete cinder cone (right center) is of minette composition; they are seen here from the NW. The youngest eruption, at Volcán Malpais, north of Mascota, produced a fresh-looking lava flow. The lack of soil development and sparse vegetation suggest that it may be as young as a few hundred to at most a few thousand years old. Steep-sided Volcán Tecomate (left center) and flat-topped Volcán Molcajete (right center), seen here from the NW, are two of the many cinder and lava cones of the Mascota field. These are part of a group of calc-alkaline andesitic and minette cinder cones and lava flows located within the Talpa and Mascota grabens near the town of Mascota, east of Puerto Vallarta. The youngest eruption, at Volcán Malpais, north of Mascota, produced a fresh-looking lava flow that may be as young as a few hundred to at most a few thousand years old. Photo by Paul Wallace, 1987 (University of California Berkeley). The following 99 samples associated with this volcano can be found in the Smithsonian's NMNH Department of Mineral Sciences collections, and may be availble for research (contact the Rock and Ore Collections Manager). Catalog number links will open a window with more information. Large Eruptions of Mascota Volcanic Field Information about large Quaternary eruptions (VEI >= 4) is cataloged in the Large Magnitude Explosive Volcanic Eruptions (LaMEVE) database of the Volcano Global Risk Identification and Analysis Project (VOGRIPA).